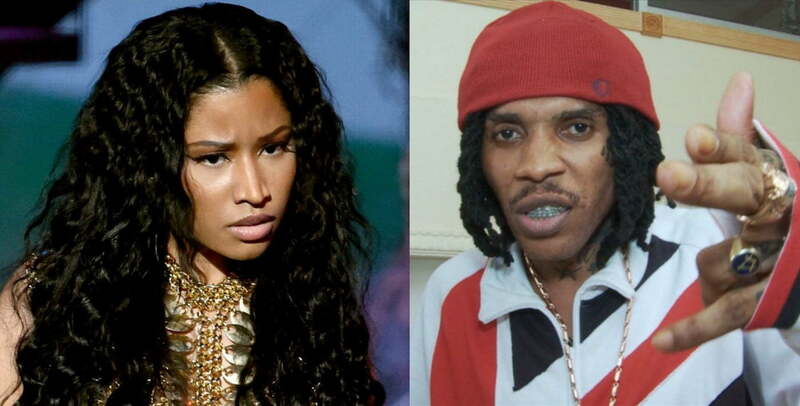 Nicki Minaj is still a huge fan of Vybz Kartel. Nicki Minaj new album Queen is now out and not only did she tapped into her Caribbean roots, but she also pays homage to a bunch of reggae/dancehall legends and call for Vybz Kartel to be freed. Nicki has a dope new song with Foxy Brown on the album named “Coco Chanel.” The track is one of the hottest and most talked about singles on the album and for good reasons. In her verse, Nicki Minaj gave Vybz Kartel a big shout-out. “Illest tp ever do it, tell’ em fi recognize, Run a Kartel, Dem fi free up Vybz,” Nicki raps. In the “Outro for the album, she pays homage to a number of Caribbean legends like Bob Marley, Bounty Killer, Beenie Man, Mavado, Super Cat, Machel Montano, and more. Nicki Minaj sampled the “Party Showtime Riddim” on her song “Coco Chanel,” and she also managed to get Foxy Brown to come out of retirement. The classic dancehall project “Party Showtime Riddim” was produced by Madhouse Records and released in 1997. The project features some big names in dancehall like Bounty Killer, Beenie Man, Spragga Benz, Mad Cobra, Wayne Wonder, Shaggy, Baby Cham, and more. Nicki Minaj and Vybz Kartel have yet to collaborate on a song, and there were some rumors last year claiming that the incarcerated deejay would be featured on her new album. Perhaps his legal woes have prevented him from landing that feature, but there is now a good chance that he might get out of prison following a blistering appeal trial in July. So don’t write off a Nicki and Vybz collab just yet. The Young Money rapper, who has strong Caribbean ties by way of birth, has collaborated with Vybz Kartel’s number one foe, Mavado, but she is clearly not picking sides.